I’m sure most of us are following the headlines in the tech sphere as Apple and Samsung duke it out in the courts over patents. Each side has been given 24 hours to present their cases and so far, Apple has rested their case with Samsung beginning theirs. At the heart of Apple’s case appears to be trade dress and patent infringement – particularly bounce back and multi-touch gestures. However, that is only on the surface. In actuality, this entire case is to set precedence in a future iOS vs Android battle. 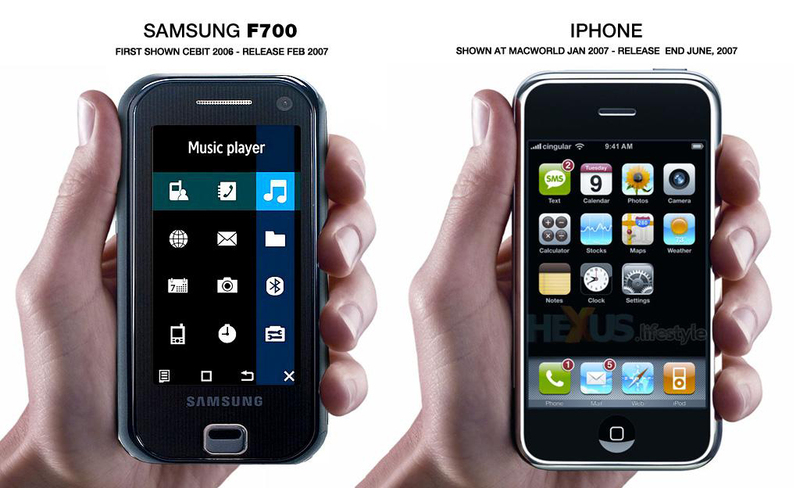 To the left, we have the famous picture (or one very similar to it) Apple uses to show the similarities between its own iPhone and Samsung’s Android powered Galaxy S. Just by first glance, the two phones do seem very similar with a grid of icons and a 4×1 dock on the bottom. Both also have a large button in the bottom center although the Galaxy S has Android’s “Menu” and “Back” capacitive hardware buttons. One of Apple’s claims was that customers would go into a store, buy a Samsung phone or tablet thinking it was an Apple iPhone or iPad and then return said product upon finding out. This definitely falls under some trade dressing laws since Apple is trying to prove that Samsung products look so similar to Apple’s that customers are confused. I’m going to go out of limb and say a rectangle shape with a touch screen and round corners isn’t quite revolutionary. The general market, as technology progressed, was definitely moving in this direction with more and more touch screen features. I still remember the LG Prada and, as technology converged, it’s only natural that whatever we used to consume video will end up having the traditional shape (i.e. a rectangle for 16:9 or 4:3 aspect ratio) and designers would attempt to make the device as small and thin as possible. Much of what Apple argued should be in “public domain” in my opinion. Not because they are necessarily obvious, but because technology moves so quickly and the patent system process works too slowly. Who knows what company is working on what at any given time. While I’m talking about patents, some of the more recent patents that were awarded to Apple (outside of the the scope of Apple vs Samsung) involved NFC (Near Field Communication) and its uses in public areas such as an airport. Honestly, something like that should be in public domain and, again, the problem comes with the sheer speed of technology’s progression. Many people bring up the fact that we don’t see television makers suing one another for the shape of a TV or car makers for a steering wheel or four-wheeled machine used for transportation. One thing I will say is that all of these software patents read very generally, but to the TV and car argument, I would say things could have been just as ugly back when the TV and car were first developed. By now, the patents no longer cover these products, although I can see continuing patents for new technologies such as 3D. However, shape and function for the most part are no longer disputed at this point (as far as I know… it’s certainly not in the headlines!). 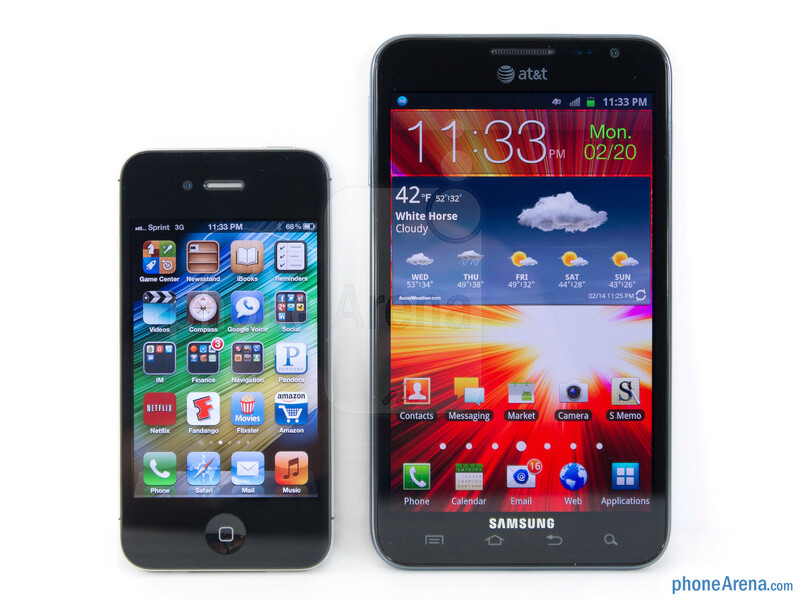 In Apple’s defense, I will say Samsung’s Android skin, TouchWiz is very close to the overall look of iOS. When I say this, I’m talking about the look of the icons. It is so bad that me and another Android enthusiast friend of mine call it iWiz. Should anything be ruled in Apple’s favor, I would say it should be here. Having said that, I would also like to see these rotten patents to be thrown out of the picture. Trade dress, to a degree, I can understand, but people must be fools to buy a product that explicitly says “Samsung” and does not have the well known Apple logo. To me, Android as a OS looks and feels vastly different from iOS. Widgets alone separate Android’s home screens from iOS’s. Rectangular icons, rectangular form, touch screen, etc. should all be taken out of the equation. Intentionally making icons look like the competition’s should definitely be looked at a bit more closely (beyond “common” items such as the shape of the phone, microphone, message/e-mail, etc.). I’m talking about color of the icons, whether or not it’s in a box, and such. AOSP, HTC Sense, and other Android skins don’t look like iOS outside of the “common sense” aspects such as shape of the device and rows of icons. 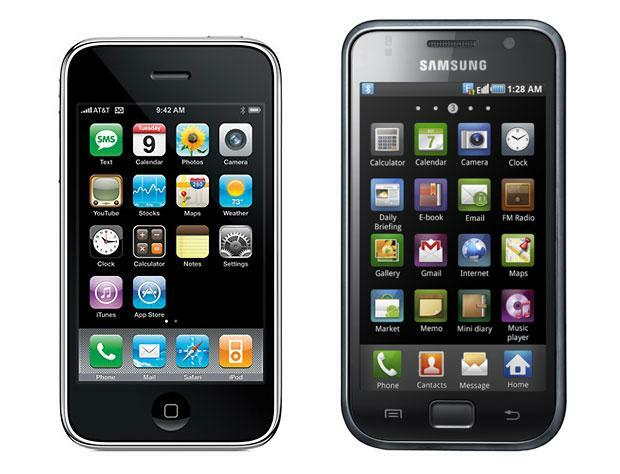 Apple has yet to prove that it has lost profits because of Samsung’s Galaxy line of phones. All of Apple’s iPhones have been wildly popular when they first release, their supply not being able to meet the demand. Other people bought Android phones like a Galaxy because their carrier of choice just did not sell an iPhone. It was only in early 2011 that Verizon got the iPhone and late 2011 when Sprint did. Many people had no choice since they are on family plans or have poor AT&T service in their area. I wrote a blog earlier about how Apple’s exclusive deal with AT&T may have allowed Android to grow to the dominance it has today. All of the evidence for the case should be done by the end of this week and the jury will probably have a verdict by some time next week. It will be a very interesting case to follow. Will Apple get the precedence it requires to go after other Android handsets in the US? Or will Apple’s and Samsung’s case be thrown out similar to what happened when Judge Posner dismissed Apple’s case against Motorola Mobility? It should be exciting to see the results of this case. One thing is for sure though, the US patent system needs an overhaul and fast. Although Apples has a more great features but people who wanted so much Apple with a cheap budget on their hand chooses Samsung because it’ features are the same with what the Apple does. Nobody wants to be imitated but it’s good to buy cheap stuffs with same value from that expensive ones. Hmm, this may be true for some people who wait to buy a Samsung product, but most high end Android phones cost the same amount as an Apple iPhone when first released on contract (here in the US). Price point is definitely one area Android differentiates itself though. Because so many OEMs produce Android handsets, the price of “old” Android phones go down quickly whereas iPhones generally retain their value until the next iteration comes out a year later. This is a great value proposition for Apple fans, but also a good model to get people who aren’t willing to pay $200+ for an iPhone on contract.